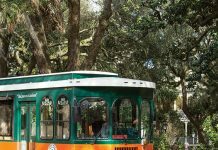 Hydrangea blooms are one of Paula’s favorite things about summer in Savannah. She cuts blooms and decorates with them from early June through the end of August. 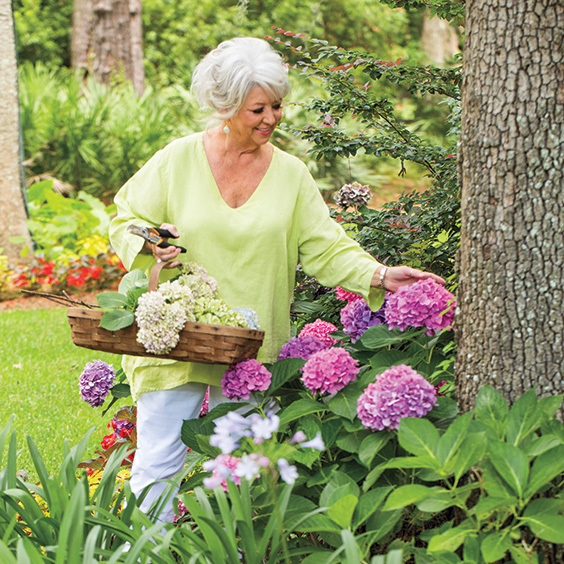 Here are six of Paula’s favorite hydrangea arrangements. 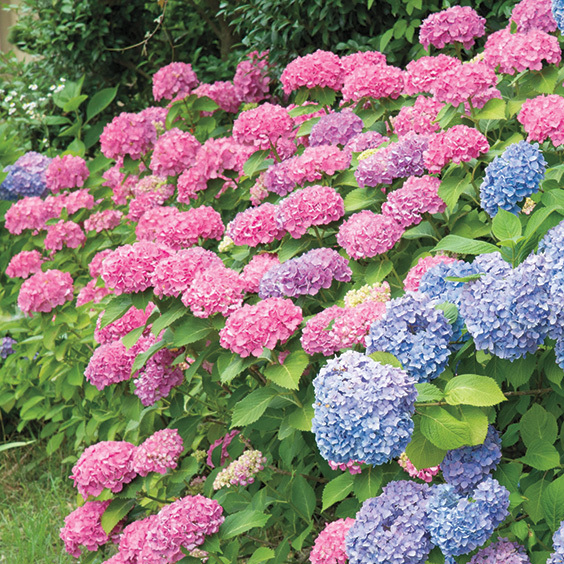 The blooms vary in color and shape, but she says, “Most are about the size of a mop head in shades of pink, blue, purple, and white.” Paula, like most gardeners, loves to stroll through and cut blooms early in the morning before the heat settles in. Then she immediately places them in a bucket of cold water to keep them well hydrated and fresh before working them into arrangements. 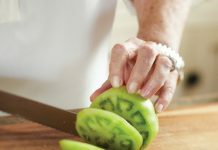 The best tip she ever learned was to cut the stems at a 45-degree angle with clean snips and to remove the leaves before placing them in the water. Also, she trims the stems and changes the water every few days in the arrangements so the blooms last longer and the arrangements stay fresh. Mix blooms close in tone in unexpected vessels for a sophisticated design. 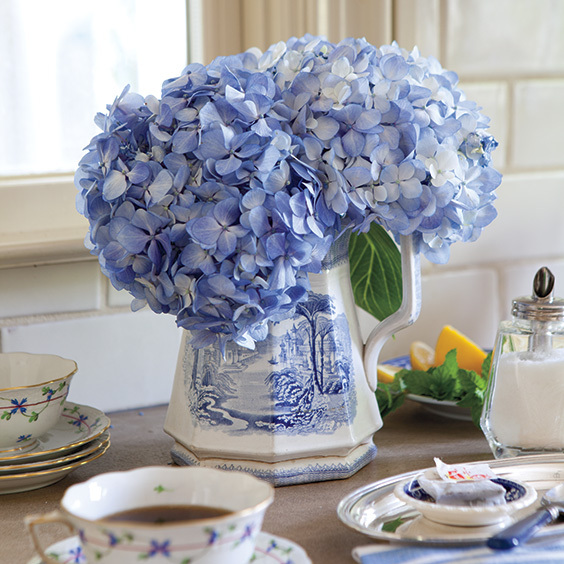 Paula loves to use her blue transferware serving pieces like this pitcher to display larger blue blooms. 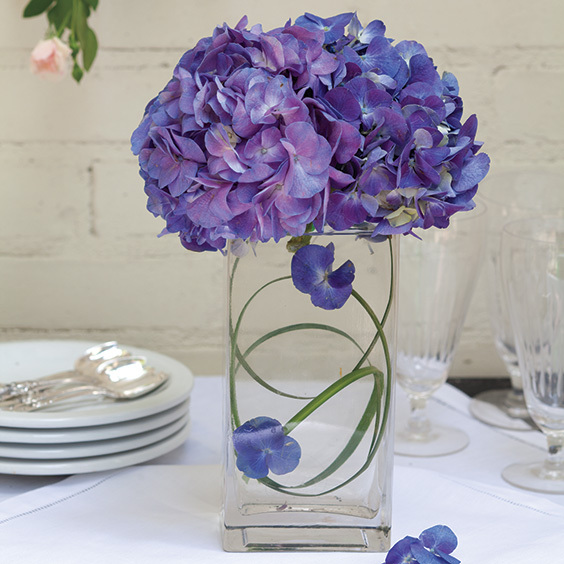 Glass vases and simple greenery create a contemporary look. For low-profile arrangements for coffee tables or even your dining room table, choose a bowl or vase with a wide opening. Attach thin floral tape across the lip of the bowl from side to side in a grid to stabilize the bulky blooms. 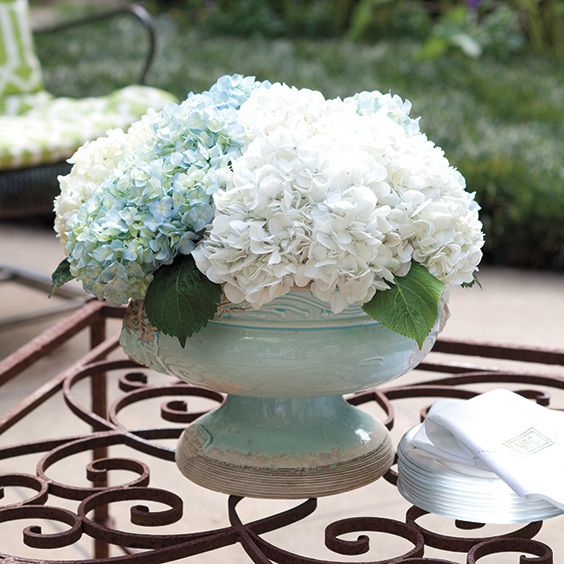 No matter which container you choose, hydrangea blooms always make a bold statement because of their size. 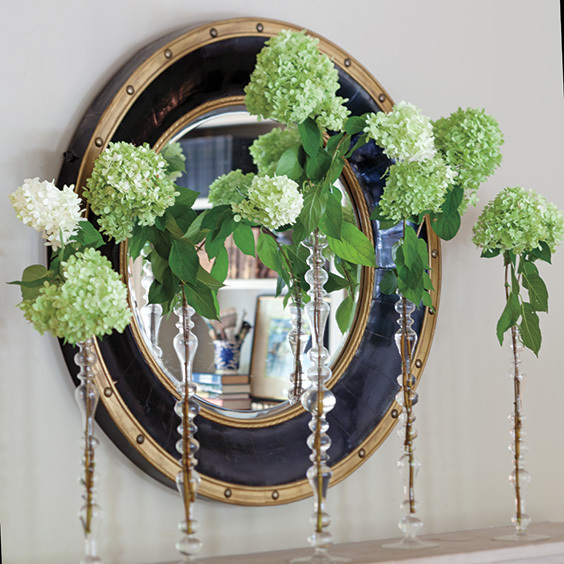 Use them in multiples, like in these tall, slender glass vases, to create amazing focal points in any room. 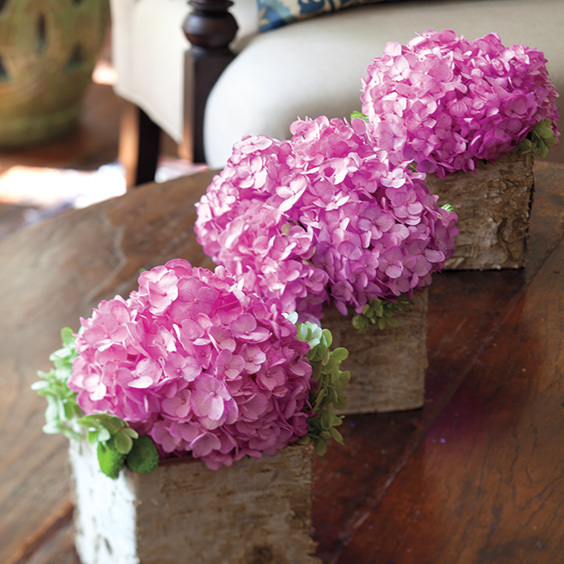 Use one color of multiple blooms in small birch-wrapped vases. The greenery, small clippings of boxwood, adds a nice finishing touch to complete the look. 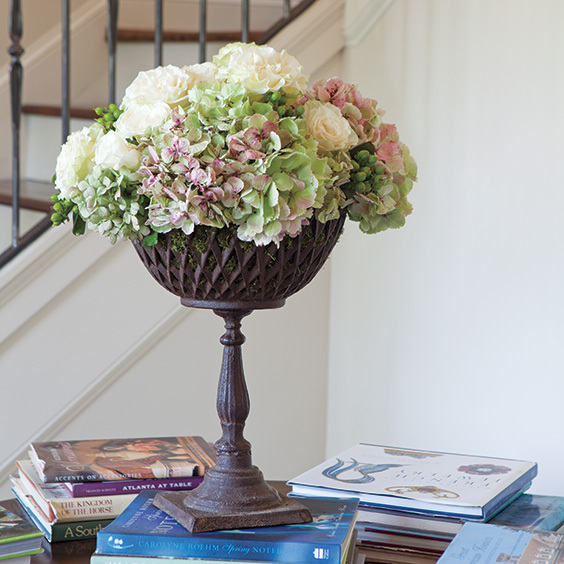 Aunt Peggy says this old wives’ tale really works for prolonging the life of the hydrangea blooms: After cutting the stems for the second time, right before placing them in arrangements, dip ½ inch of the bottom of each stem in alum powder and then into the water. 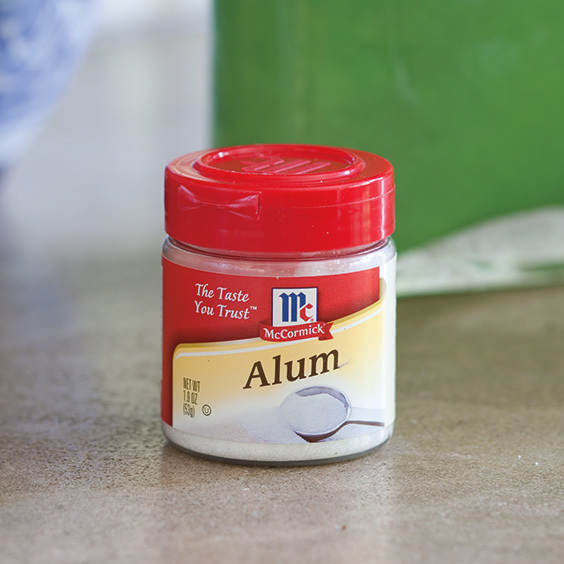 Alum can be found in the spice section of most grocery stores. You can use denture-cleaning tablets to remove film and residue from glass vases. 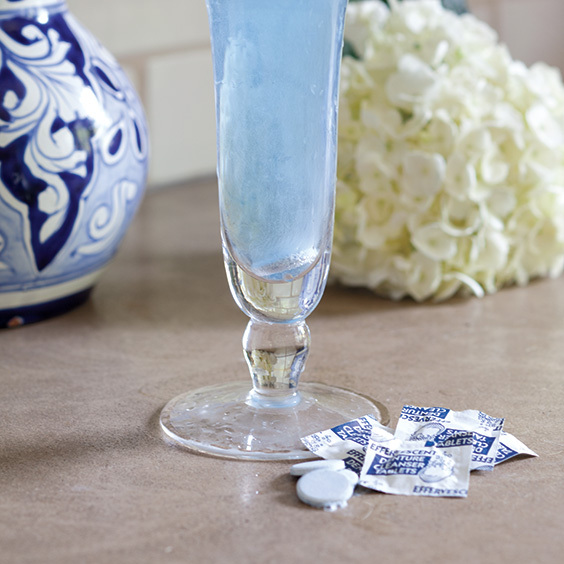 Fill the vase with warm water, and drop in one tablets for every cup water. Let the fizzy solution sit and work overnight, then wash with mild soap and water, and dry well.